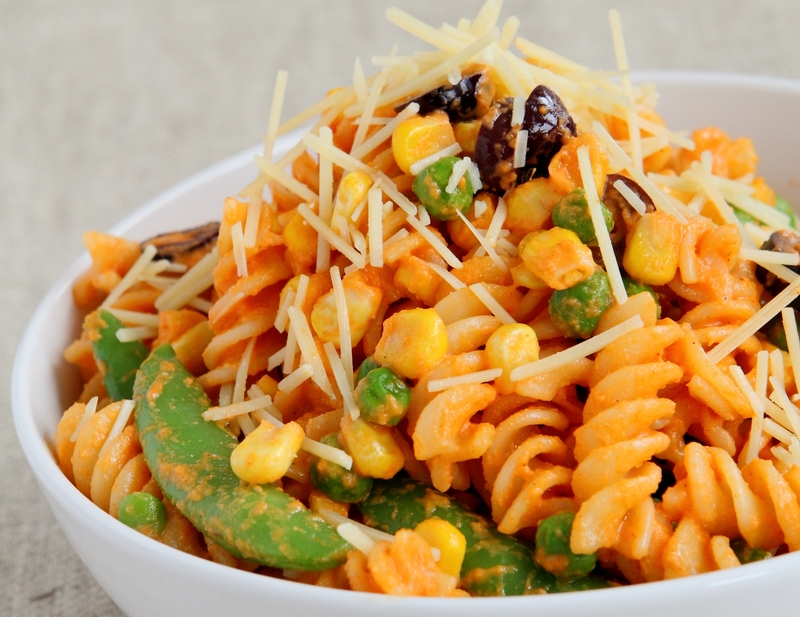 WHAT do you get when you combine pasta with vegetables? A plateful of goodness, of course! Penne Salad with Roasted Pepper Sauce will be a hit with those who want a healthy pasta option with a little added heat from the peppers. This recipe was first published in Flavours magazine. In a small skillet, heat oil over medium heat and sauté garlic till fragrant. Place in a blender with the remaining sauce ingredients and blend till smooth. Cook the pasta in salted water till al dente. When done, drain and combine well with the sauce and the remaining ingredients.